Anyway, a friend of mine recently told me that twitter is a great way to improve traffic to your blog, so this morning I joined twitter. I'm slightly concerned that I have nothing of interest to 'tweet' and to be honest I don't really understand the whole process. But this time last week I felt the same about blogging and I am now totally converted, so fingers crossed my twitter experience is just as enjoyable. I just have to figure out how to add a link from this page to me twitter page now. Aside from my twittering endeavours, this morning I found that Khaled Hosseini, who is unquestionably one of my favourite writers of the decade, is not merely a writer but that he has a foundation. 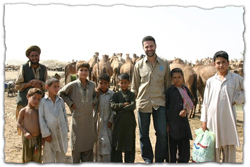 The Khaled Hosseini Foundation is nonprofit and 'provides humanitarian assistance to the people of Afghanistan. The Foundation supports projects which provide shelter to refugee families and economic and education opportunities for women and children. In addition, the Foundation awards scholarships to students who have migrated to the United States under refugee status and to women pursuing higher education in Afghanistan'. Following a visit to Afghanistan in 2007 Mr Hosseini was heart broken by what he saw, but insists 'the refugees I met did not ask for charity. They were a resilient, hard-working, and resourceful people, eager to rebuild their country and put the dark past behind them. What they asked for was access to some very basic resources, shelter and education foremost among them, so they could work to fulfill their own dreams and hopes. My Foundation’s goal is to provide the most vulnerable groups in Afghanistan –women, children, and refugees- with the opportunity to do just that. I know that providing them with shelter and access to education will give them a sense of control over their lives and allow them to begin rebuilding their broken country'. I now admire the author of A Thousand Splendid Suns and The Kite Runner not only as a writer but as a person. My adventures through literally the hundreds of blogs I have hopped between since becoming a blogger myself really has been a journey of discovery. I came across the PEN, now I had heard of them before but after accidentally following a blog link to their page my knowledge of them has significantly improved. PEN is a charity working to promote literature and human rights. From defending the rights of persecuted writers to promoting literature in translation and running writing workshops in schools, English PEN seeks to promote literature as a means of greater understanding between the world's people'. This is an idea with which I whole heatedly agree. Was is not for the amount of books I happily consume set in different cultures and countries from across the globe, I would certainly be ignorant to the different customs, traditions and beliefs of the global community. 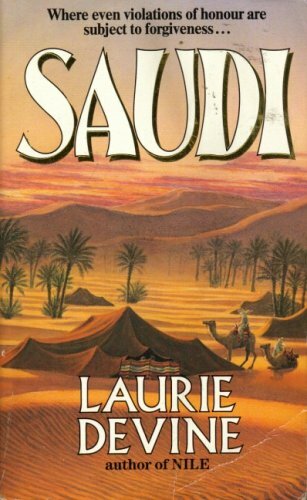 Laurie Devine's Crescent and Saudi were invaluable in making those living in the far east individuals just like westerners, with emotions, ambitions and desires just the same as me. Similarly Khaled Hosseeini's work highlighted the plight of Afghans and Greg Mortenson's Three Cups of Tea taught the importance of education. Literature provides me with a window to the rest of the world and allows me to understand the worlds people with a depth unobtainable by any other medium. On the down side I am still waiting for my copy of The Finkler Question to arrive and last night I uncovered a library book that I fear I may have had for almost a year. This afternoon I have got the rather embarassing task of explaining to the library why I have such an enormous fine. I haven't been blogging for too long either. I find that in reality the only traffic that comes to my site, is in response to comments that I leave on other blogs, so it is the same set of bloggers 'doing the rounds', so to speak. Also, if you are hoping to make a small amount of money from any affiliate scheme, you will find that a huge percentage of bloggers have affiliate schemes of their own. I have been amazed at the speed with which some bloggers seem to get through books and post reviews. It makes those of us who find reading something enjoyable and to be savoured, feel inadequate that we do not post often enough. All that said, it is a great way to make new friends and of course add loads of new titles to that ever growing TBR mountain. I just want to read everything that anyone recommends, but life is just too short. Thanks for the comments, I hadn't even realised it was possible to make money blogging! I too have been shocked by how many books some bloggers get through. With work and my studies I usually only manage around one a week.